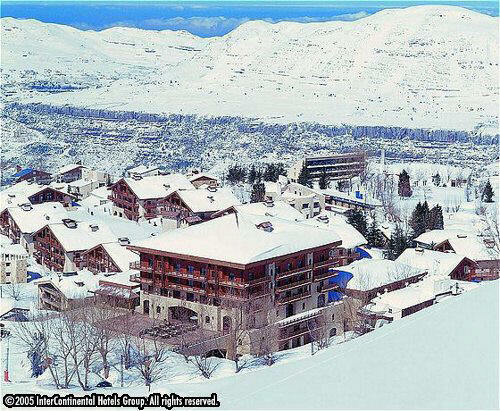 Book your hotel accommodations at Lebanon's Faraya Mzaar ski resort with us, the Number 1 tour operator for the area. We have chosen the best options for hotel accommodations for your next skiing holiday at Lebanon's top ski resort of Faraya Mzaar at Kfardebian on Mount Lebanon. Go to our Bookings page to enquire about prices and availability of any of the following hotels. The five star InterContinental Mzaar Lebanon Mountain Resort and Spa is the biggest and most luxurious hotel in the area. 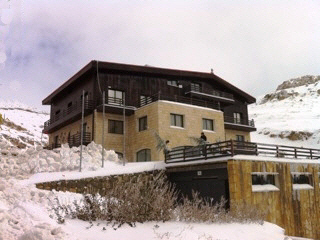 It offers true Ski In - Ski out with a private slope that connects with the rest of the Faraya Mzaar ski resort. The Merab Hotel is a very well managed cozy three star hotel. It is conveniently located about 100 meters from the Refuge ski slope and further offers free shuttle to Faraya Mzaar ski resort's main entrance. Aux Cimes du Mzaar privileged location makes it an attractive option for skiers and snowboarders alike. Virtually on the ski lifts gate, it is the only hotel offering ski in-ski out access to a baby slope. 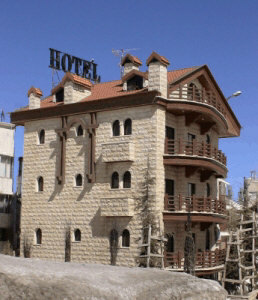 Hotel Eleven is a welcome addition to the accommodation options of the ski resort village of Ouyoune Al Simane. 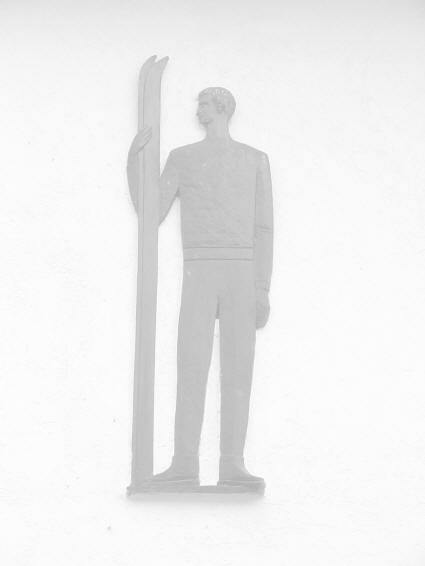 It is a small hotel which is big on character and individuality. The Terre Brune is one of the newest hotels in this part of Mount Lebanon. It boasts four stars and is located near the ancient Roman site of Faqra at a driving distance of less than 10 minutes from the Faraya Mzaar ski resort. 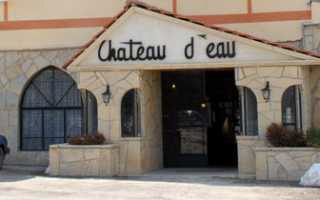 The Chateau d' eau offers a quiet stay in this recently upgraded hotel, five minutes away from the slopes of Mzaar. 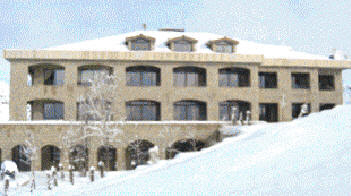 The Auberge Suisse is the most laid back place near the Faraya Mzaar ski resort. 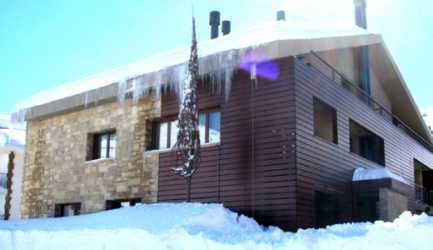 Accommodation is very basic but its dormitories offer the lowest price for a skiing holiday on the Lebanese mountains. 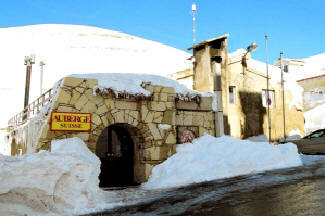 The Faraya Mzaar ski resort area is situated just above the village of Ouyoune El Simane in Kfardebian, Mount Lebanon. The area offers several excellent choices for accommodation, ranging from the luxurious five star InterContinental Mountain Resort and Spa at Mzaar, to basic and very affordable dormitory or chalet accommodation. Our experience over the many years we are organizing ski trips to the area has led us to focus on offering "on the slopes" hotels, with the exceptions of the Chateau D' eau and Terre Brune hotels. The on the slopes hotels we use are the Intercontinental Mzaar Mountain Resort and Spa, Lebanon, the MERAB Hotel and deluxe Suites and Chalets,.Aux Cimes du Mzaar, Hotel Eleven, and the Auberge Suisse Inn. These three hotels offer the great benefit to every skier of not having to worry about road conditions and to be able to hit the slopes as soon as the lifts start operating. This of course comes without compromising on the quality of the accommodation or the prices one has to pay. As some of our fellow skier customers have demanded it we are also offering accommodations in the high altitude Cedars ski resort in Lebanon.